H4 Medical are confident that we can help and support our customers fully when it comes to providing bespoke baskets and in the containerisation of instrument trays. 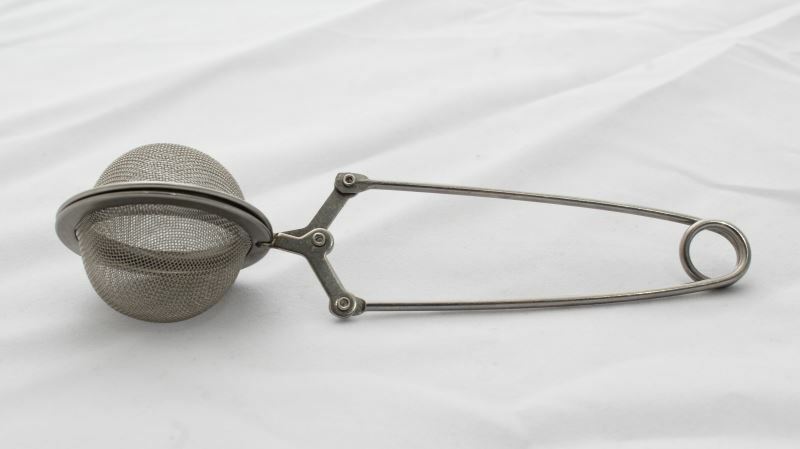 We have provided numerous one-off bespoke instrumentation storage systems, from small fine mesh trinket baskets to large two-tier instrument style baskets with lids. Let us know your requirements so we can provide you with a fit for purpose solution. 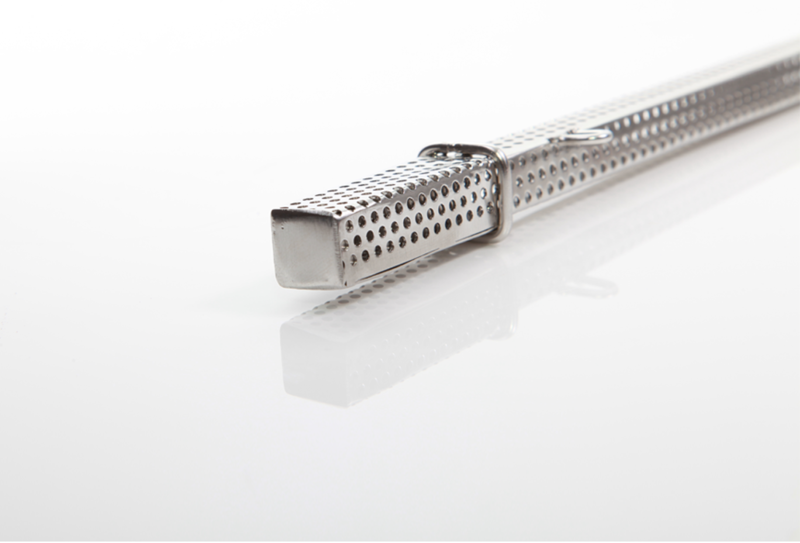 Designed for small neurosurgical clips the basket is made from stainless steel fine mesh and has a lockable catch style lid. 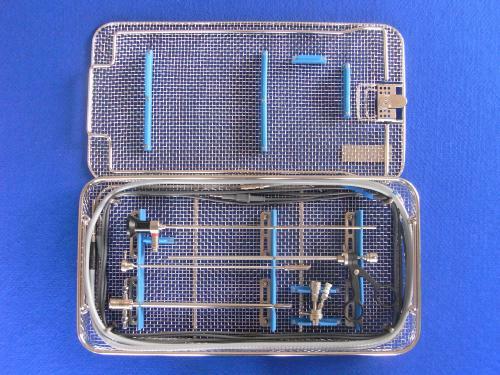 This particular basket was made to fit instrument used in a procedure to operate on the Cochlear Nucleus. Silicone fittings have been placed to secure instruments when basket is closed. 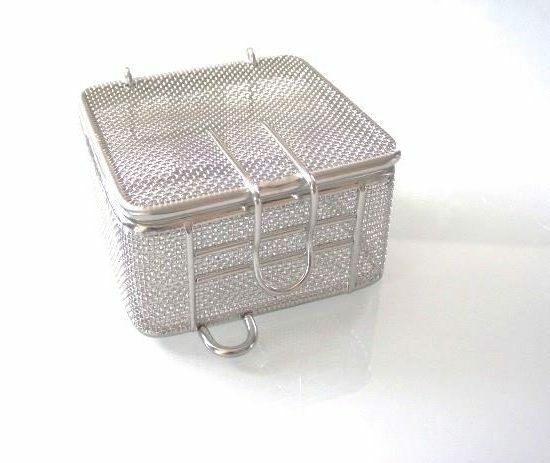 Made from stainless steel wire mesh with a lockable catch style lid. 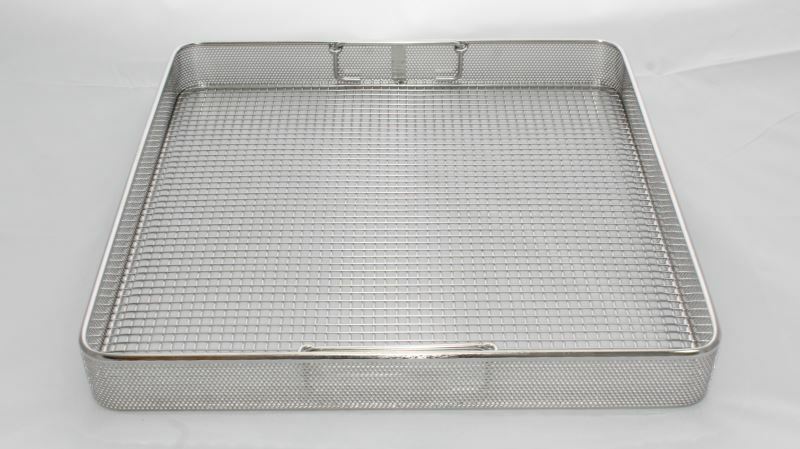 A newly developed concept to aid the reprocessing of guidewires, this stainless steel perforated basket has a hanging loop and a slide on lid. The basket enables the wires to sit securely inside and allows water and detergents to flow through. 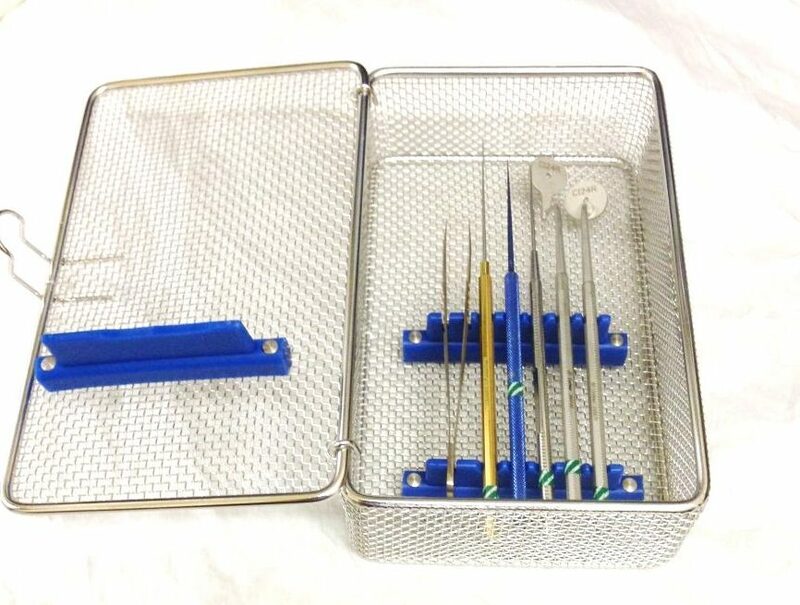 This trinket box developed to hold endoscopy accessories is made from Stainless Steel fine mesh and has a lockable catch style lid, it also has a small loop which can be used for attaching it to Endoscopes or for hanging in drying cabinets. 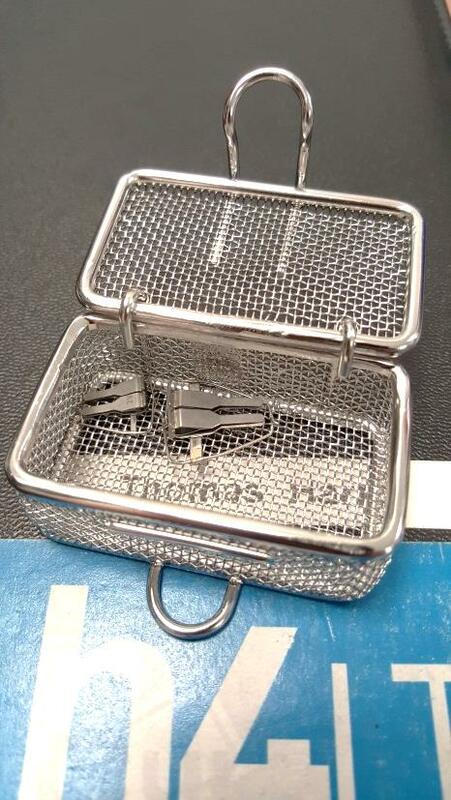 This basket is a fitted Ophthalmic tray. 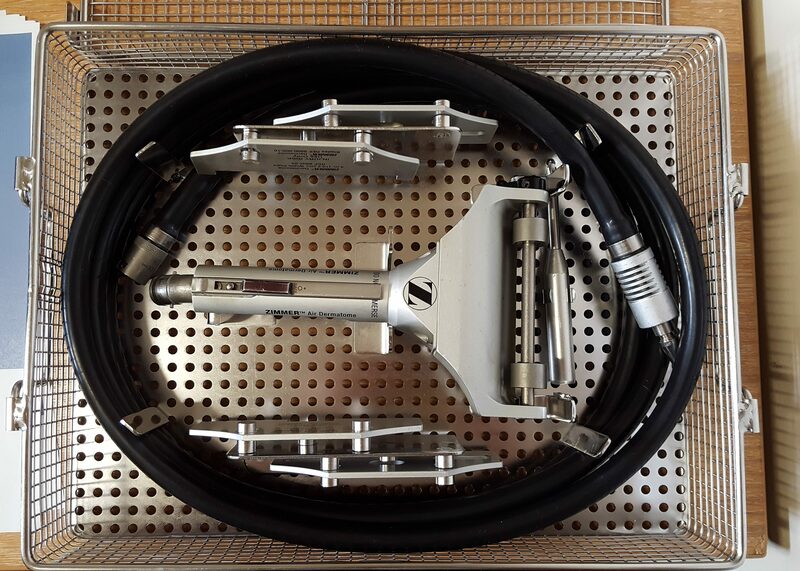 We can modify any instrument tray to hold any instruments (within reason) and provide a basket with lid of any size required. 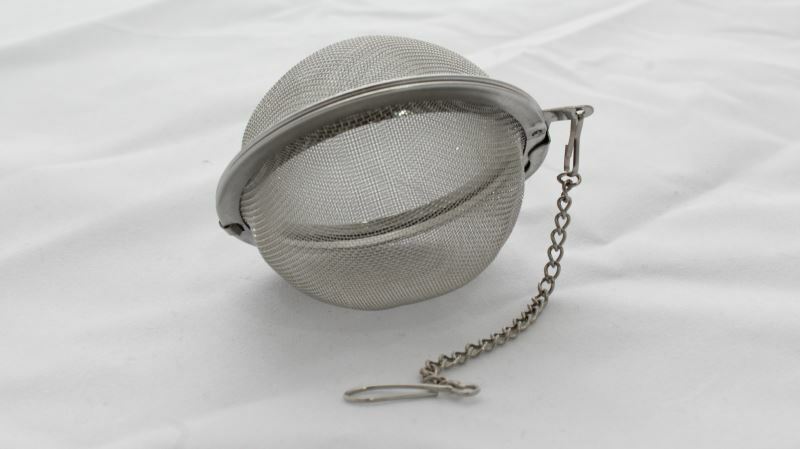 Stainless Steel Mesh ball with wire mesh for holding small clips and screws. Available in both small and large.